In the first part of this series, we talked about a new type of multi-skilled, multi-category and digitally connected workforce that Google has dubbed Generation Connected (Gen C). Regardless of age, these individuals bring the skills that employers need at a time where job openings go unfilled and where every business can reasonably be considered a technology company. And yet, as studies from LinkedIn, Gallup, Deloitte and others suggest, the reluctance of Gen C to actively pursue jobs seems to stem from a strong sense of disconnection — even from the first point-of-contact. Although growing numbers of them are finding happiness in non-traditional work arrangements (e.g., contingent assignments, freelancing, contracting, etc. ), they can’t usually be courted and hired using standard recruitment methods. The golden days of the active candidate have waned. Now, 80 percent of jobs are gained through approaches that emphasize networking. This is precisely where an MSP program shines, and where today’s pioneering staffing curators are helping connect Generation Connected to MSPs and their clients. Why have networking and social recruiting become so critical in the modern recruitment world? Based on the data we’re seeing, it’s because the most sought-after candidates fall firmly under the category of passive talent. Building and managing a blended workforce presents challenges to corporate recruiters and hiring managers across nearly every front. Yet today’s robust staffing models, which tap into the power of the crowd to connect with all different types of workers, are ideally suited to bridging the gaps with which internal hiring teams struggle. Based on LinkedIn’s newly published 2015 Talent Trends report, 95 percent of the talent needed for critical roles aren’t actively looking for work. For all other roles, 75 percent of in-demand talent aren’t actively searching, either. When these professionals do investigate potential employers, most won’t apply. Since 2011, workforce research has shown that reliance on traditional job descriptions and cumbersome online applications decreases candidates’ interest. They find the job descriptions dull, uninspiring, demeaning and disingenuous — they often cite the fact that advertised positions entail little more than lateral transitions rather than career enhancements or development. All of that said, LinkedIn also discovered that over 45 percent of these passive workers are open to interacting with savvy recruiters and exploring new opportunities. The process of recruiting passive candidates poses significant challenges and has been the source of frustration for organizations uninitiated in the art. Capturing the interest of ideal yet currently employed talent requires piquing their attention, keeping them engaged and presenting an offer alluring enough to win them over without breaking the bank. Success in online “cold calling” through social networks involves a great deal more than a fearless attitude, stamina and ability to post messages; it requires preparation, a deep understanding of branding and unparalleled expertise in the best practices of sourcing — the realm in which MSPs and their staffing partners thrive. Applications remain too convoluted, complex and repetitious. Job descriptions, Gen C talent feel, are not detailed, unique or specific enough to attract their attention. Today’s talent prefer to have non-traditional and more captivating details in job descriptions. Savvy staffing professionals are eliminating the endless lists of skills, must-haves and qualifications in favor of telling compelling stories that speak to fit and brand: what talent will learn, what new skills they’ll acquire, the networks they can develop, what they’ll really be doing on the job, and what opportunities those experiences translate to in the future. More than that, they’re strengthening those connections by interacting with prospects, keeping applications simple and talking to them through their preferred channels. Close to 30 percent of Gen C professionals admit that they almost exclusively rely on their mobile devices to apply for jobs. Today’s talent seek environments that connect with their values, support needs, work-life goals and ongoing development. Placing them in business environments that are conducive to these goals leads to the success of the worker and the employer. A lot of hiring managers think they know what MSPs and staffing curators do, yet it would seem that most of the definitions are generalized and outdated. The best approach to staffing no longer concentrates on filling positions quickly. With the evolution from staffing agency to staffing curator, the industry leaders today have transformed into career coaches, mentors, talent development specialists and influencers. When recruiting top talent, staffing curators are concentrating on fit — sourcing workers based on matches to established skills and experience. And they are providing them with unique resources and tools to help facilitate and enhance the quality of their job searches, their integration to new business cultures and their careers. They are helping top talent build genuine professional networks through information sharing, interaction and collaboration. And from their carefully crafted recruitment brands, staffing curators are using their own web presences, blogs and social media to keep talent connected with employment trends, data and tools that will help them uncover their true motivators and achieve their professional goals. The strongest corporate recruiters, through no fault of their own, remain limited in scope because they represent a single organization — and must serve the needs of all its departments and divisions alone. We already know the tolls that lean operating structures, increased responsibilities and time poverty have taken on hiring managers. Their recruiters are staring up the sides of those same mountains. Staffing curators have the resources and time to focus on the candidate experience — it’s what they do by design. They’re not bound by the same constraints, so they can commit to making the interpersonal connections that have become paramount to engaging the best talent. Staffing curators spend less time scouring job boards and letting automated systems generate boilerplate notifications. They directly converse with the talent they’re prospecting. They send personalized emails, custom offer letters and provide ongoing, continuous feedback through social networks, texts, phone calls and more. They confer with talent to uncover their aspirations, motivations, roadblocks and success factors. They sell opportunities and potential, not merely compensation. In short, they connect with Gen C professionals on a meaningful and human level. Staffing curators have always honed their skills to pique the interest of passive talent. Back in the day, most companies that enlisted the support of staffing firms expected them to supply workers on demand. So while corporate recruiters focused on active candidates, staffing professionals found themselves devising ways to backfill positions, create virtual benches of pre-screened and immediately deployable talent, have contingencies for surge hiring and more. What may have begun as a response to a “necessary evil” has now flourished into a competitive advantage. Today’s staffing curators conquered the passive candidate learning curves years ago. And they are masters at networking. 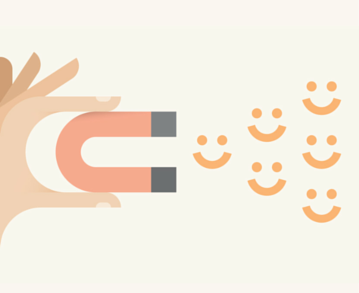 Successful staffing curators understand that the best way to approach and attract passive talent is through existing connections. They know sought-after professionals will open the door to a conversation when one of their colleagues has knocked. Staffing curators don’t collect references for the sake of verifying qualifications alone — they use those references to expand their pipeline of potential talent. Passive candidates are always willing to hold career discussions with recruiters who have obtained their names through known referrals. Although younger Gen C professionals relish autonomy in their work, they also seek out resources for continued skills education and training opportunities. This generation of talent wants access to mentoring, formal training and on-the-job learning. They seek satisfaction and personal fulfillment over money. They want a job that improves their experiences — personally and professionally. According to PWC’s “Millennials at Work” paper, 78 percent of today’s young professionals assert that access to the mobile, smart technologies they rely on in their personal lives makes them more productive and successful at work. Google, in a similar study, found that 66 percent of Gen C individuals spend the same amount of time or more watching online video content compared to television. Once again, staffing industry innovators understand these preferences and have created solutions that solidify these connections. More recruitment and staffing curators are using video interviewing platforms, supplemented by digital communications to maintain critical interpersonal dialog. Video conferencing systems such as Skype, Google Hangouts, FaceTime and others have replaced phones, yet offer a more intimate experience. Online learning applications are being used to facilitate and enhance onboarding, web-based training, continuing skills development and flexible work arrangements. Today’s staffing curators and MSPs are already on the leading edge of these developments and have implemented virtual learning models that allow workers to review training materials on their own time through online programs, while still having access to personal communications with peers and staffing professionals. Staffing professionals have always had some inherent advantages over corporate recruiters: their resources are 100-percent committed to the processes of sourcing and recruiting, they generally have fewer assignments to focus on, and their compensation is predicated on performance, not activity. Because staffing curators cover active and passive talent, they raise the level of quality with every new hire. In short, staffing professionals have the time corporate recruiters don’t to invest in canvassing and courting passive candidates. Staffing curators also have a tremendous advantage over corporate recruiters in terms of connections: they represent countless companies, not a single organization. Elite staffing professionals are deeply entrenched in all applicant tracking platforms, from traditional job boards to social media and online marketplaces. Through these systems and their efforts to build virtual benches of passive candidates, staffing professionals develop robust networks of the best Gen C talent. This creates the opportunity to speedily source and place highly qualified workers, along with the ability to carefully find the best fit environments for their talent — an additional benefit to MSPs and clients in terms of reducing attrition and maximizing productivity. Agility and the free exchange of ideas are characteristic of the connected organizations Gen C talent gravitate toward. Nigel Paine, former head of training and development with BBC, warned that traditional work environments will trend toward, “Alzheimer’s in the body corporate.” Businesses on the forefront of innovation no longer valuate their assets in terms of widgets and capital, they’re measuring them according to the information possessed by talent. And thought-leading talent recognize their worth. Their ability to choose new employers rises with the demand for what they know. More than big paychecks and fancy titles, they want the same sense of connection in their vocations as they do in their afterhours lives: personalized interactions that foster feelings of belonging, accomplishment, shared missions and opportunities, expedited by communications technologies with a human touch. As the melting of the modern workforce continues to blend, now is the time to enlist MSPs and their staffing partners to complete the connections between your organizational success and the Gen C talent who can drive it.